Smart industrial tools – connected industrial tools improve quality in the factory: A collaborative effort between Bosch and three international companies, all members of the Industrial Internet Consortium (IIC), is driving forward tool connectivity with the aim of improving quality and efficiency in industrial manufacturing. 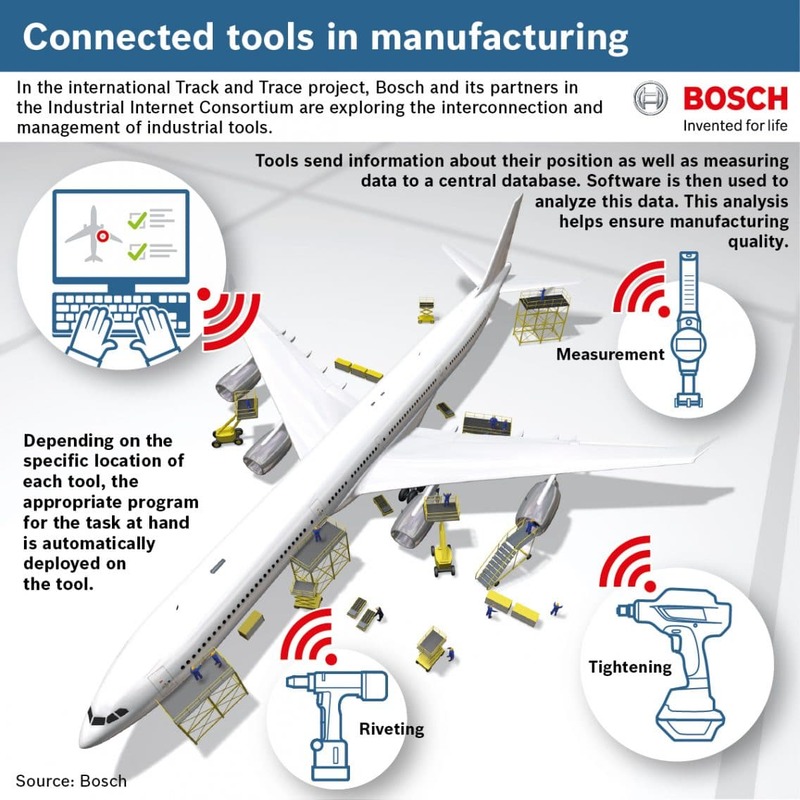 A collaborative effort between Bosch and three international companies, all members of the Industrial Internet Consortium (IIC), is driving forward tool connectivity with the aim of improving quality and efficiency in industrial manufacturing. 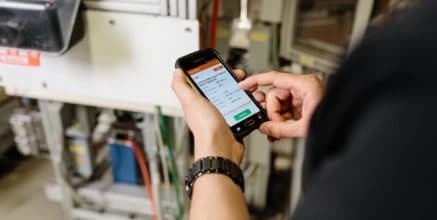 The first outcome of their collaboration on the “Track and Trace” project is the ability to determine the position of a cordless nutrunner on the shop floor with extreme precision, among other applications. Track and Trace collects nutrunners’ positioning information and uses this to automatically select the correct torque for the respective task, making it possible to tighten safety-relevant screws with exactly the required force, for example. It is also possible to automatically document these settings to ensure and test product quality. Open standards are set to enable the seamless integration of industrial power tools used to drill, tighten, measure, and solder into an overall system of networked tools in the future. 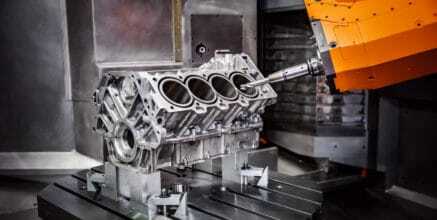 Potential applications of connected handheld nutrunners, riveting tools, and measuring equipment include the construction and maintenance of engines and aircraft. 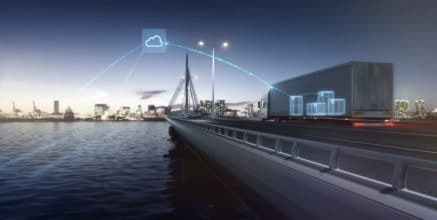 “There is no other solution like this out there; it harbors major potential for industry as a whole,” says Dirk Slama, project manager at Bosch. The supplier of technology and services is cooperating on Track and Trace with Indian IT company Tech Mahindra, U.S. IT company Cisco, and National Instruments, a supplier of automation and measurement technology systems. This effort is the first European testbed for the Industrial Internet Consortium. The new solution is made possible by connecting the tools with each other and with the production data for the products to be manufactured. Thanks to the tool’s positioning information and the precisely determined location of a component, such as an aircraft on the shop floor, the user knows that the tool is currently located at the vertical stabilizer, for example. Backend software automatically sends instructions that specify the force needed to tighten screws there. “Connected tools contribute not only to product quality and safety, but also to making production more efficient, which improves competitiveness,” Slama says. 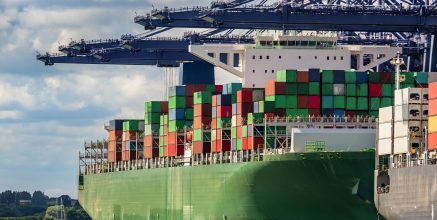 There are additional benefits to Track and Trace: for instance, the constant collection of tools’ data provides companies with a detailed overview of the conditions of their tools at all times. This can enable the automation of a number of routine tasks, such as the replacement of wear parts on power tools after a specified number of rotations or hours of operation. The design and assembly of complex industrial and consumer goods requires exacting work. Machinery, vehicles, and aircraft necessitate the highest standards of quality. Often, screws must be tightened with precisely the right amount of force. In aircraft construction, for example, there are precise regulations that specify the kind of screw and the amount of force that must be used to join specific parts. Joints on the wings require a different amount of force than those on a window. When it comes to passenger aircraft, there are thousands of such screws that must be tightened and precisely documented. Connected tools speed up this time-consuming task. “We are able to record the force used to tighten hundreds of thousands of screws, for example, and store that information in a database. The information makes it possible to quickly identify any discrepancies, and it provides users with clues as to the possible causes of faults,” Slama explains. As a result, connected tools also aid in troubleshooting and error avoidance. If a worker mistakenly tries to use a tool for the wrong task or at the wrong place, the tool powers itself down, preventing errors from occurring in the first place. This contributes to improving safety, quality, and productivity. Thanks to open standards, this system of connected tools can be used universally. Industrial power tools used to drill, tighten, measure, solder, and rivet fit seamlessly into an overall system of connected tools, regardless of the brand or type of tool. A computer system is used to manage and regulate the tools. 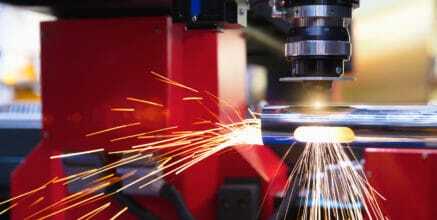 The testbed highlights several key aspects of digitally connected manufacturing. One of these aspects is cross-industry cooperation on equal footing among companies who are working to create open standards for the purpose of data exchange. Hardware, software, localization technology, backend integration, and safety features are all integrated in the solution architecture. This results in a number of new options, such as data analysis. 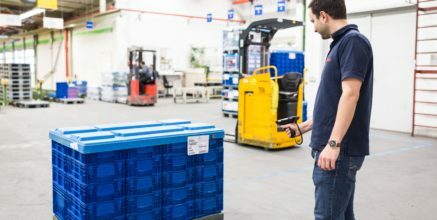 The testbed partners are each lending their different areas of expertise to the project: Bosch is supplying the Nexo cordless nutrunner, while Bosch Software Innovations is contributing the software necessary to gather and evaluate data, in the form of their Bosch IoT Suite. The Nexo collects and stores tightening data and transmits it wirelessly. National Instruments is connecting the power tools with each other, and Tech Mahindra is responsible for the application programming. Cisco is providing the nutrunners’ precision location identification feature (triangulation) by evaluating wireless signals. 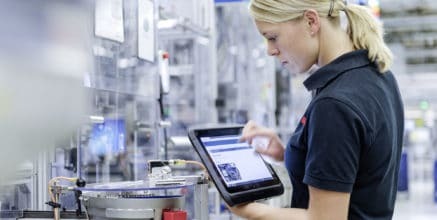 Tests are underway at Bosch Software Innovations in Berlin and at Tech Mahindra in Bangalore, India, to determine how the components interact with each other. Plans call for the first pilot applications with new industrial users in 2015. From concept to fruition – IIC testbeds bring IIoT solutions to the test track. Airplane, heal thyself: the Asset Efficiency testbed. First European testbed for the Industrial Internet Consortium. We are convinced that the key to success on the Internet of things is the coorporation with partners.